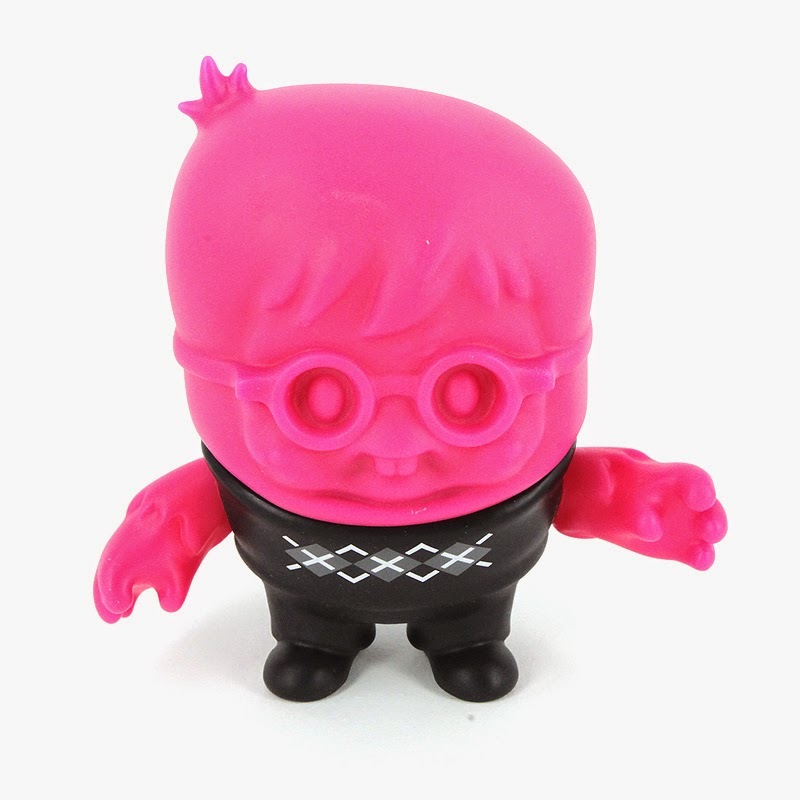 Stranger Factory is having two exhibits for the month of August. In the main gallery, Stranger Factory co-owner Kathie Olivas curated the exhibit called "Sideshow", a group show featuring works from Kathie Olivas, Jessica Joslin, Brandan Styles, Desiree Fessler, Valency Genis, Seymour (Peter Kelk), DrilOne, and Phil Noto. "Sideshow" brings the circus to life with artists creating original drawings, paintings, sculptures and customs. Artwork can be purchased online via email from now through Monday August 4th. Be sure to check out the online preview of some amazing work, like the Feejee Mermaid by Daniel Talone. Also at the Stranger Factory, Leecifer is having a show titled "Real Live", which is going to be shown in the Project Room at Stranger Factory. 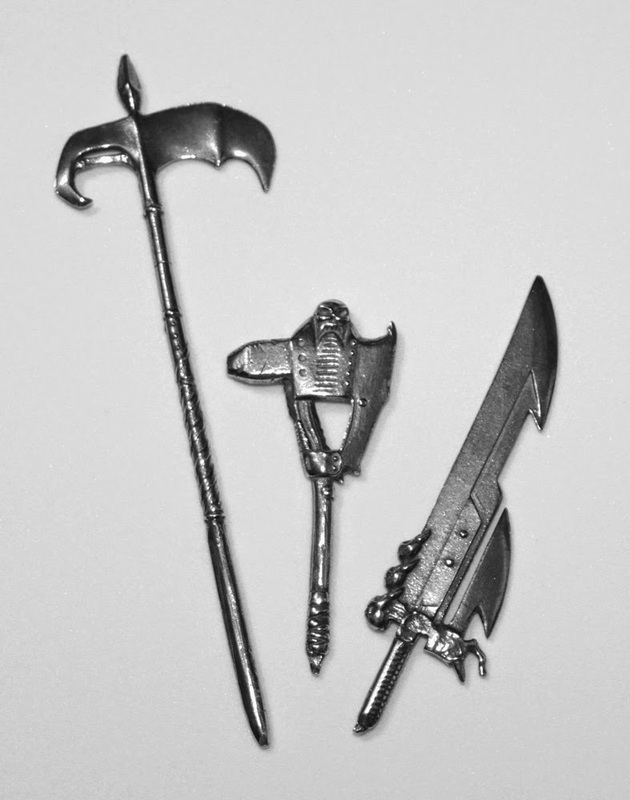 Leecifer is going to have his Pixie Wisps, as well as a ton of customized figures and sculptures. His work will feature a brighter color palette, with a weathered feel to it. With so many different sculptures and figures, there is something for everyone in Leecifer's show. Be sure to email ASAP if you want to secure a piece from either of the shows. For those in the Albuquerque area, the opening reception for both shows will take place on August 1st, from 6pm to 9PM at Stranger Factory. Attendees can expect to see some of the artists in attendance. 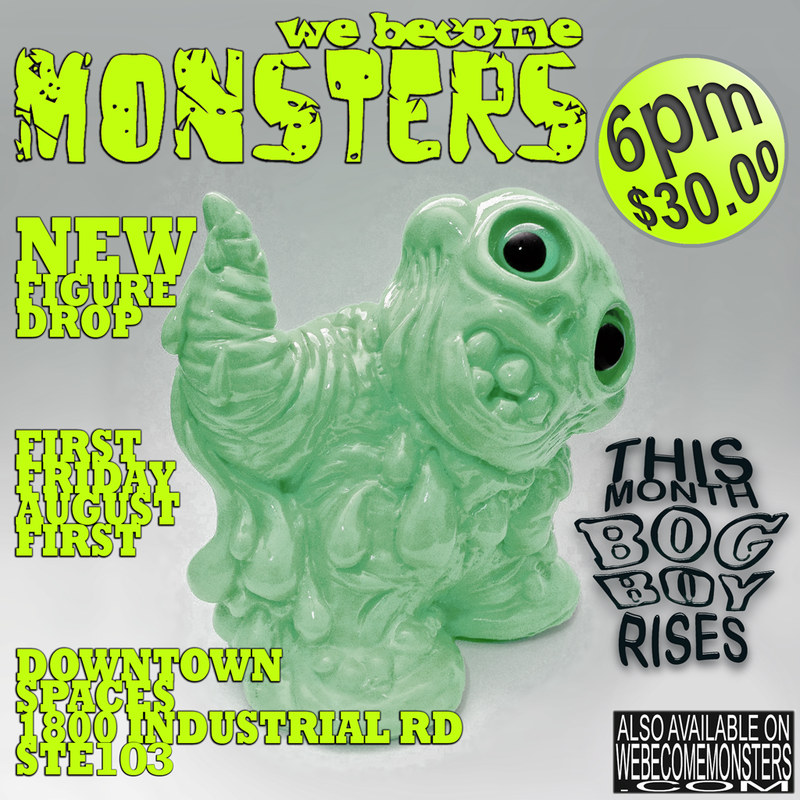 We Become Monsters is releasing Bog Boy for First Friday in August. Each Bog Boy stands at about 3.5" tall and is not articulated. Bog Boys come bagged with a header card, are hand cast and the color will be randomly chosen for those who purchase one(or more for that matter). 12 different colors are available and each Bog Boy will cost $30. Bog Boys will be available at the We Become Monsters store in Las Vegas, as well as through the online store at 6pm on August 1st. As always, each purchase will come with a free micro SLAB and an entry to win a large SLAB. SLABs are a waste reduction program by We Become Monsters which turns extra resin into art pieces. 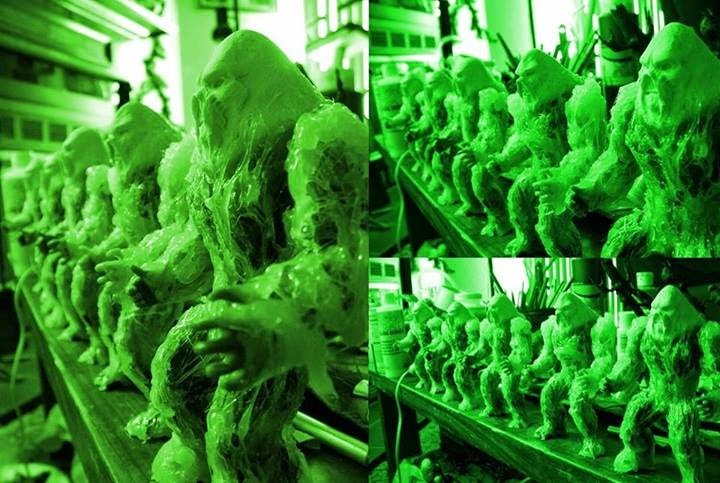 These badass in-progress photos of the Swamp Thing customs were posted by the man himself, Charles Marsh yesterday! This wizard from MonsterForge Studios is in the process of making 5 (Just 5!!!) of these bad boys and is taking pre-orders right now! All you have to do is send him a private message on his facebook account. Only $50 each, plus shipping, well worth the investment for this figure! I stumbled across these fine customizers over on one of the Facebook groups. I can't believe I haven't seen these F1shcustom's work before. Incredible attention to detail and unique style make their pieces stand out from the pack. Today you've got a chance to add some of their art to your shelves. Or keys, in this case. 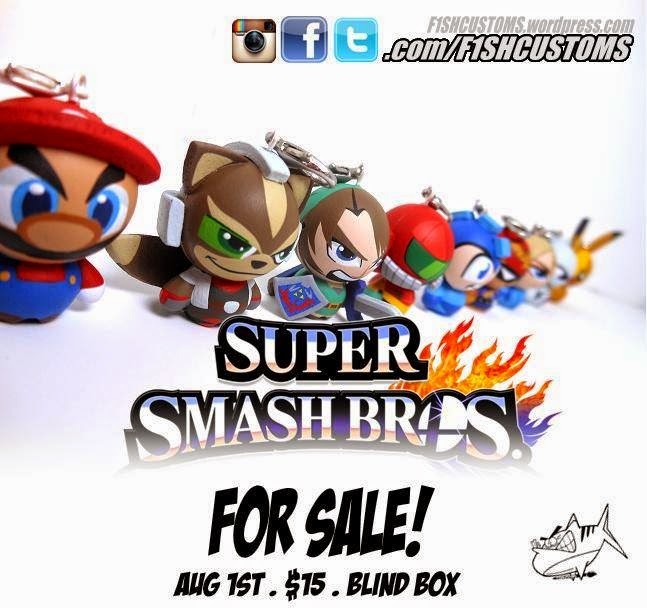 F1shcustoms drops their Super Smash Bros. blindbox keychain series at 3pm and features Mario, Fox, Link, Samus, Mega Man, Captain Falcon, Zero Suit Samus, Mewtwo and Pikachu. To top it all off one of the orders will receive an additional mystery figure! Each blindbox will be $15 and you can grab one (or nine. Just get all nine. Be a collector) via their facebook page. 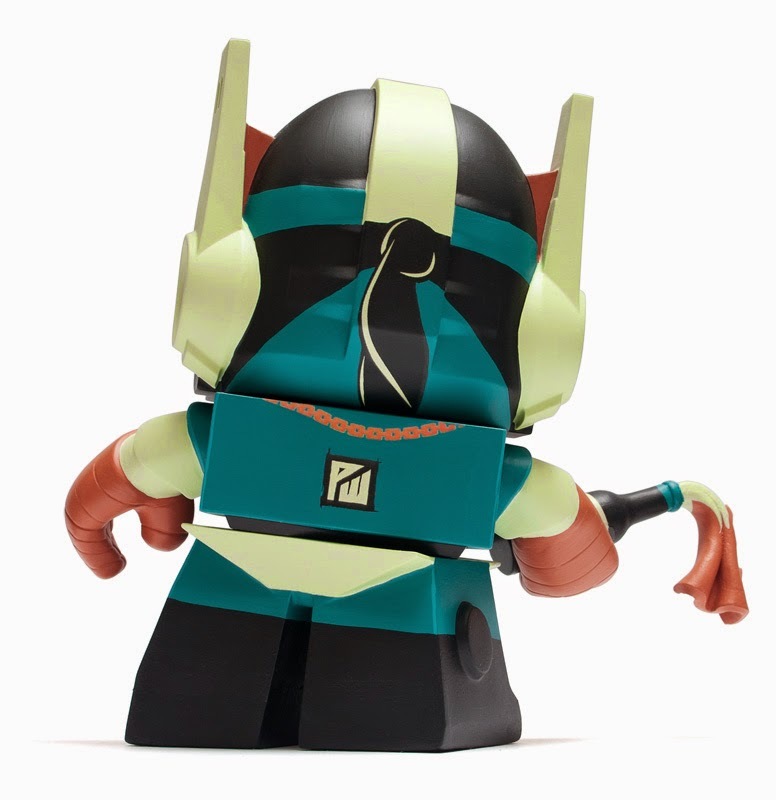 Mighty Jaxx presents the first of their CO-LAB(color-Lab) line of interchangeable multicolored vinyl toys. 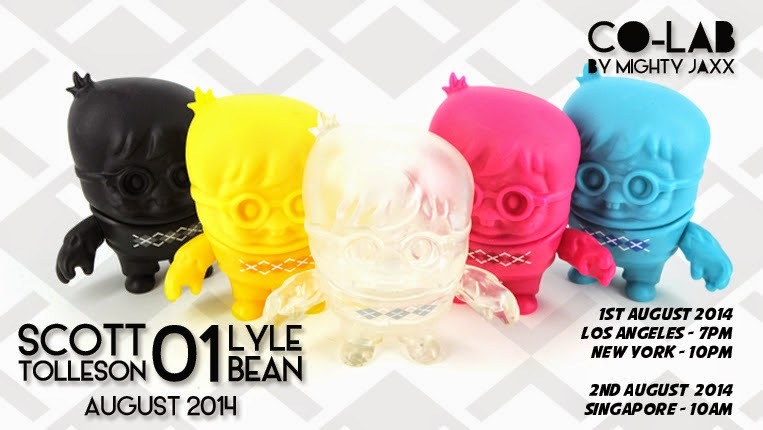 Lyle Bean is the first release which was designed by Scott Tolleson and initially released at Scott's booth during SDCC 2014. Each Lyle Bean is packaged in a blister clam shell with a backer card. One of the great little features about these are the heads(and possible the arms) can be popped off and swapped with a different color, increasing the color combinations. 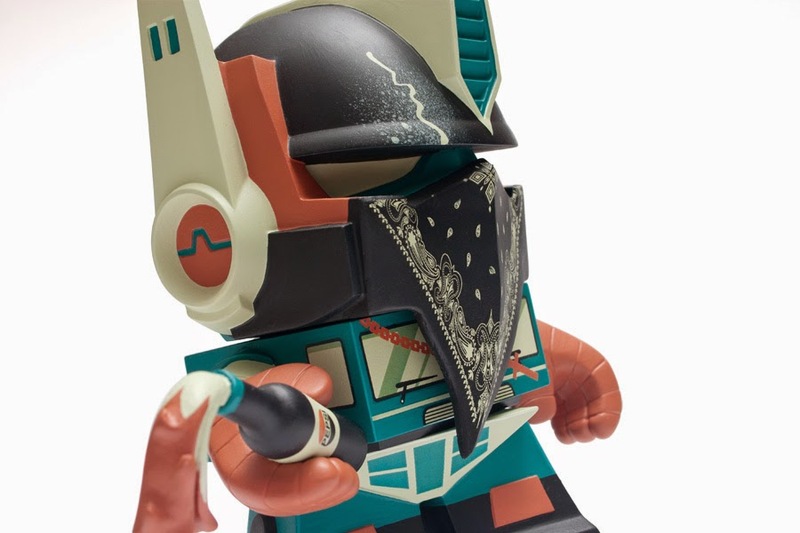 While Scott only had the 4 base colors available during SDCC, Mighty Jaxx is upping the ante a bit with a free exclusive. 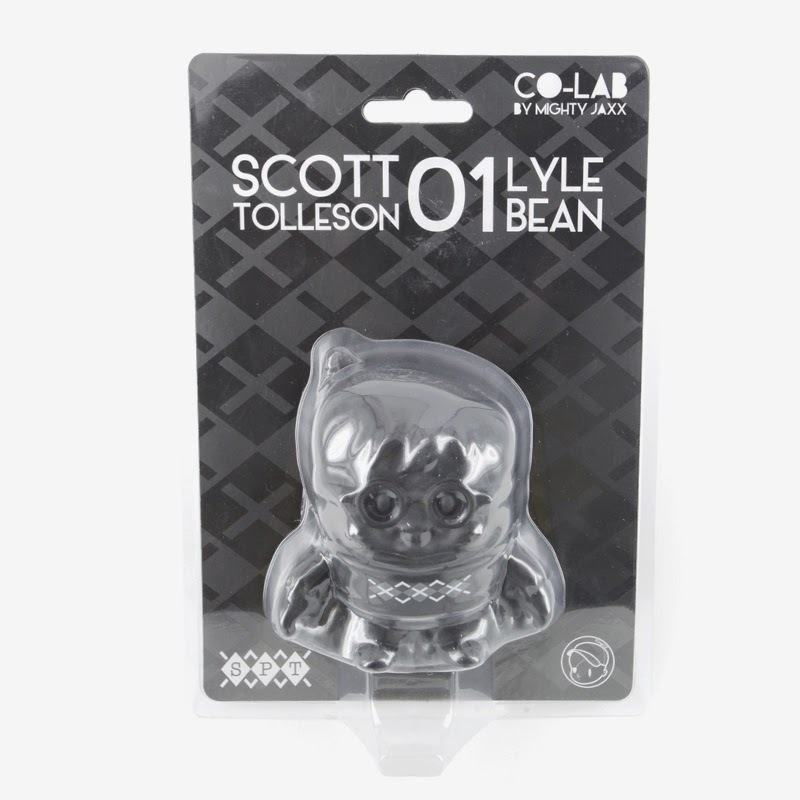 Everyone who purchases all four Lyle Bean colors, through the Mighty Jaxx online store, will also receive a rare clear Lyle Bean. Retailing for $30 each, these will be available to purchase through the Mighty Jaxx website on August 1st at 7pm PST. What is going to come up next in the CO-LAB line by Mighty Jaxx? Only time will tell. 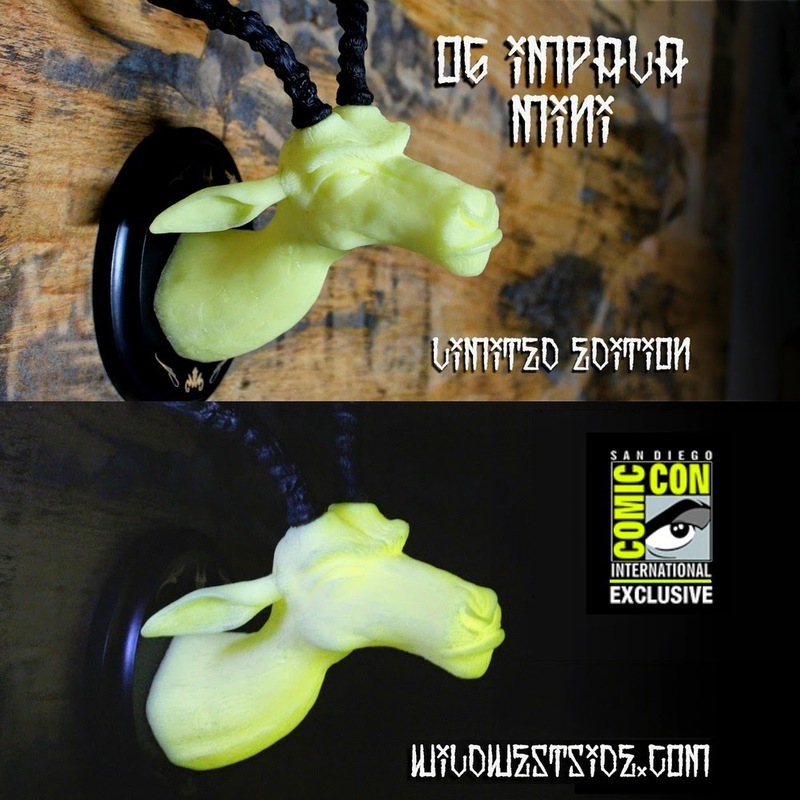 Arik Elhe, Wild Westside, released the second colorway of his OG Impala Mini at SDCC 2014, the Glow in the Dark version. Arik shared a booth with Noah of Noah's Fine Art and the booth was consistently packed during the convention. Arik's GID OG Impala min retails for $60 each, plus tax, and the limited number of pieces he brought to SDCC sold out in the first day. Unfortunately for many, Arik probably didn't plan on that happening. Now for the good news, Arik held back a few pieces from the edition of 20 and has made them available through his online store. These pieces are amazing in person and the GID version glows pretty well with a decent charging of light. 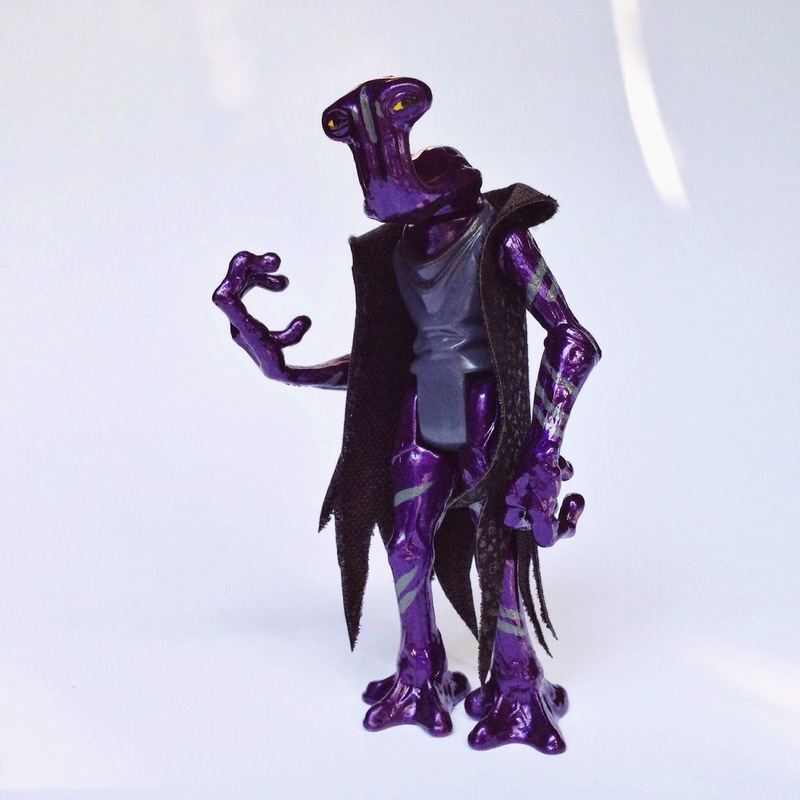 October Toys SDCC Leftovers Available Now! October Toys put up the remaining stock of their SDCC Exclusives releases. 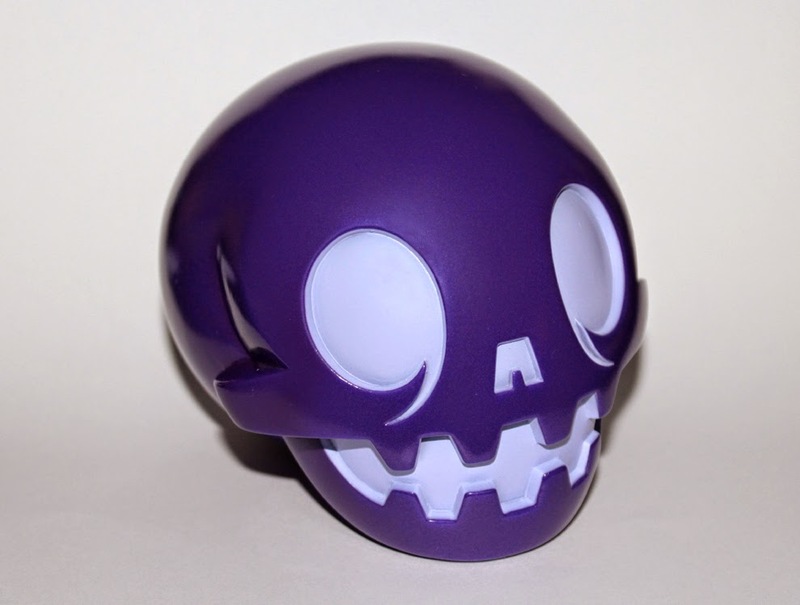 Be sure to head on over to the October Toys website and pick up a Purple Calaverita, some metal weapons and some new OMFG Colors! Don't miss out on these great toys, while also supporting some great people! Also, be sure to check out the latest Toy Break episode! August 1st brings the "Children of the 80's" art show to the Guzu Gallery in Austin. 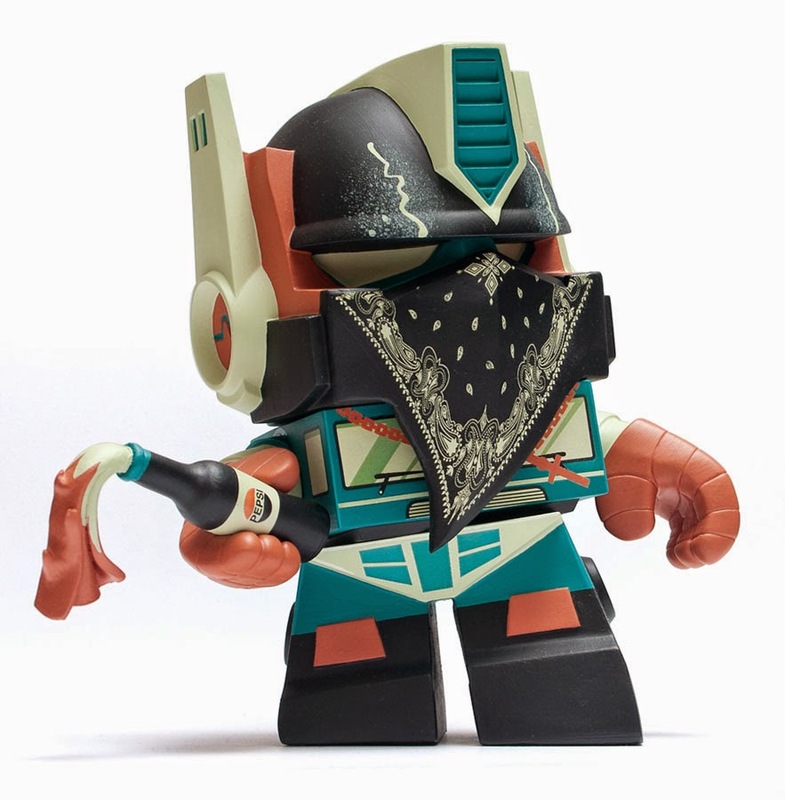 Patrick Wong's submission to the show is a Transformers design entitled "Molotov Man Optimus Prime". 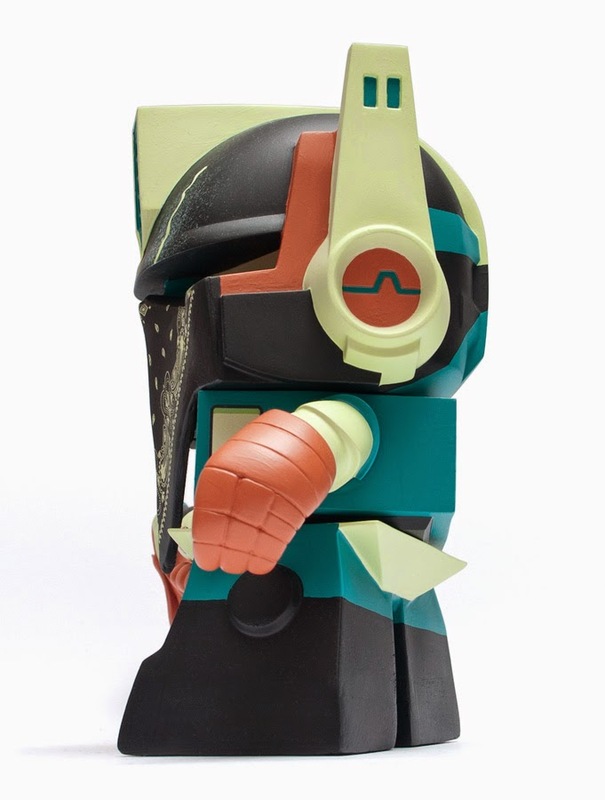 Patrick Wong took an 8" DIY Optimus Prime Vinyl figure from The Loyal Subjects and created a wonderful custom from it. "Molotov Man Optimus Prime" references an iconic photograph taken in 1979 by Susan Meiselas, which depicts a rebel soldier ready to throw a molotov cocktail one of the last remaining Somoza National Guard. The image has been re-imagined many times, with one of the more famous art pieces being produced by Banksy. Patrick's version is the latest recreation, in 3D form. 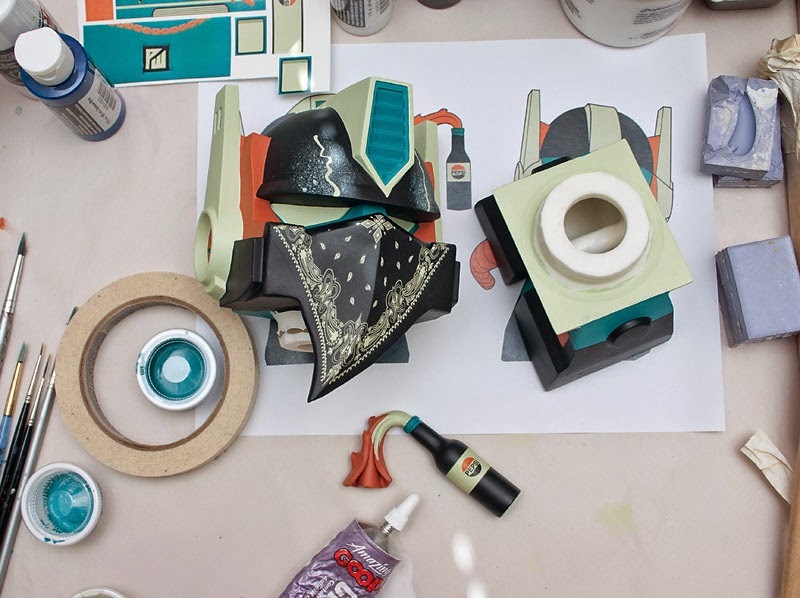 Patrick Wong took the original DIY 8" Optimus Prime figure and reworked it to give it the leaning stance, as well as a very clean color scheme. This piece will be available from the Guzu Gallery for $300. For those interested in this piece, or any other piece in the show, be sure to head over to the Guzu Gallery website to sign up for the preview list. 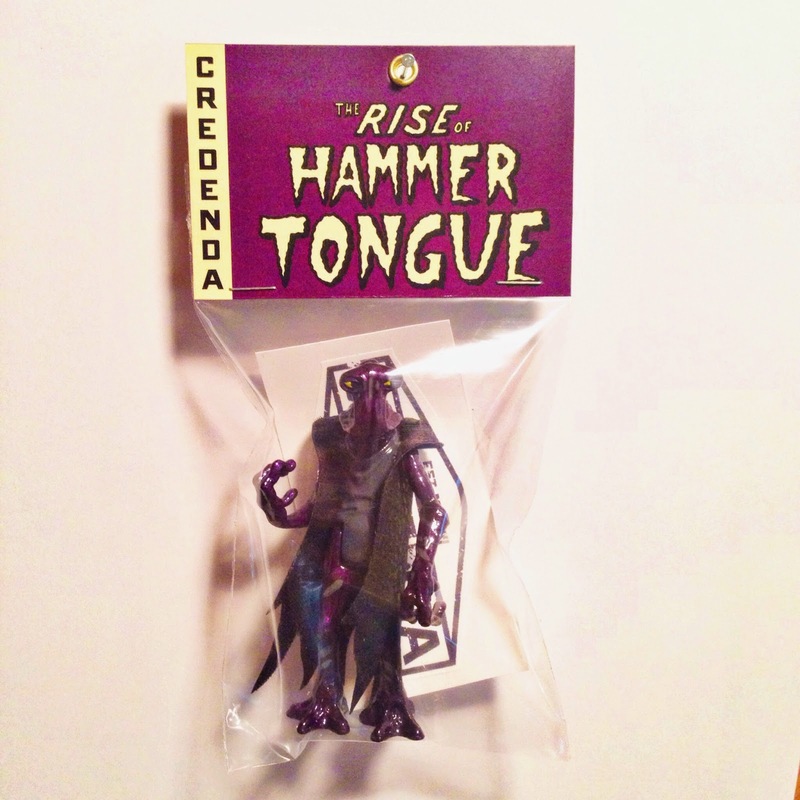 Credenda Studios presents its first bagged figure. His name is HammerTongue and he is here to reclaim his throne over the black market! "Once the ruthless kingpin of the underground black market who bathed in the tears of the dead and all those who defied him. With 13 wives and piles of jewels that would make Donald Trump tremble, life was good for HammerTongue. That was until he was betrayed by his apprentice and cast into exile. but after years of miserable solitude, HammerTongue is back to claim what is rightfully his..."
This figure is limited to only 25 pieces and is handpainted with a custom header card. The non articulated figures go for $45 a piece. They will be going up for sale this Sunday at noon MST at Credenda Studios online store. 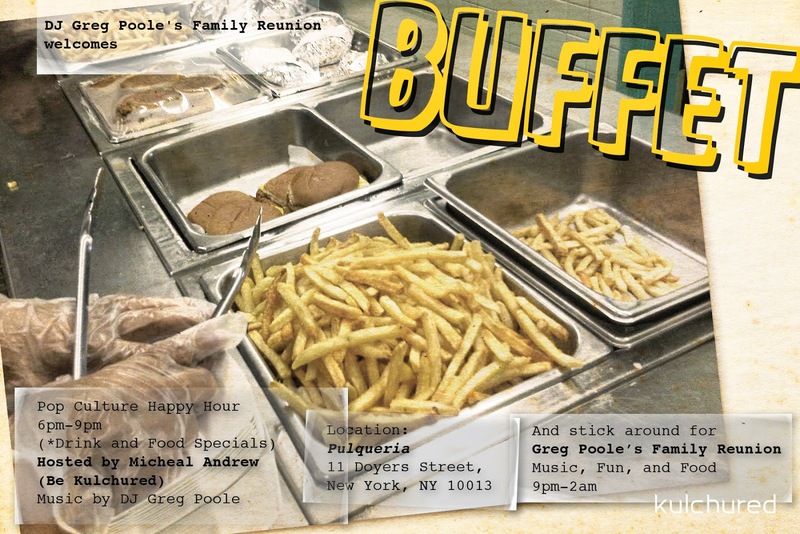 Come out and listen to some smooth sounds and talk comic books, movies, and TV with fellow fans. Look kids! Now you can relive the excitement of the Nostromo Crew’s journey into the Derelict Alien Spaceship! Venture with Kane deep into the mysterious Egg Chamber ReAction Playset and pose your sturdy ReAction Figures on the detailed, egg-covered base. Inspired by the playsets of the 1970’s and packaged in an era appropriate photo box, the playset provides the perfect backdrop for all of your ReAction Adventures. 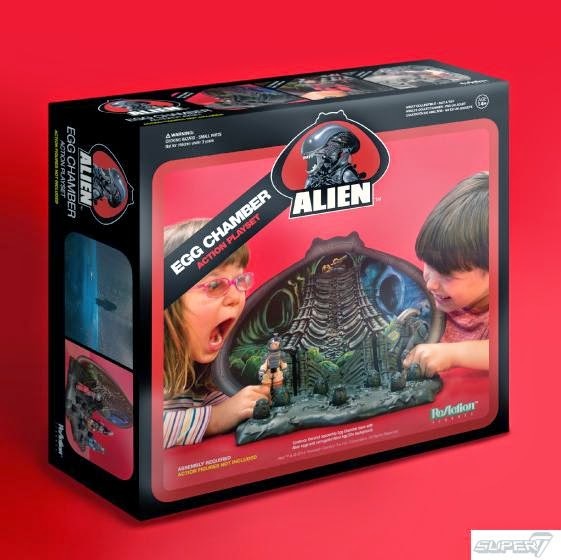 The playset comes complete with classically styled action base and corrugated cardboard, full-color Alien Egg Silo backdrop that slides into the base for display. ReAction Figures sold separately. I was pleasantly surprised to see Urban Vinyl Daily post up about a new video on the New York Natives website featuring a video interview of Greg Mishka... but i gotta tell you, I'm a little bit pissed off as well. You see, the interviewer in this video, and all of the Know Your Stuff videos, is my friend and neighbor Simeon Lipman (co creator of The Art Hustle card series, actor in the Toy Lords of Chinatown flicks, and conspirator in many other cool art-related projects). My problem is WHY DID I NOT KNOW ABOUT THESE VIDEOS?! Come on Simeon, freakin TELL US when you are involved in something crazy cool like this! Simeon has interviewed Greg, the Sucklord, David Healey, Lev from Toy Tokyo and more. Click here to watch all the Know Your Stuff videos.